Moves productivity right to the work site - a complete tool storage and mobile workbench system. Four compartmentized boxes for storing assorted parts and hardware. Fully enclosed, lockable storage compartment helps keep tools and material secure (6180-88). 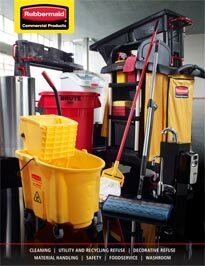 Carts move easily over hard surfaces and through elevators and doorways. Flat surface at user-friendly height provides convenienit work area. Non-marking, 5" casters for easy mobility. Optional refuse bin (3353-88) and Utility Bin (3354-88).